Supercharge your business online and achieve results. Your website presents your business online and is becoming more critical in today’s digital world. Complete Cloud can provide you with a solution to supercharge your business. Our knowledge and experience can help you implement a website to achieve a significant return for your business. What does my website do for me? 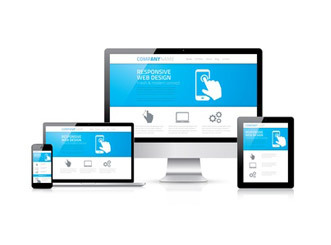 Your website design is a crucial part of marketing your business in today’s digital age. If you want the market place to take you seriously, you need to present your business professionally online. Our web developers have the knowledge and expertise to do that for you! Web Development is becoming crucial with more and more customers or suppliers searching online before making a decision. It’s important you make a great first impression with a professional website design showcasing your business. Your website forms a large part of the interaction customers have with your business. Our website developers ensure that your website is engaging and provides your customers with all the information they need so that they do not jump on to a competitor website. Australian ecommerce transactions hot a massive $40billion by the end of 2013, up from $30billion in 2011. Can your business afford not to be part of his massive continued growth? At Complete Cloud, we offer you web development services tailored to your specific business needs! The web levels the playing field. Whether you are a small operator or an international business, the same tools are available to one and all. Our advanced website development services help you make the most of this by presenting your business online far better than your competitors. You need to be clear about what you want from your website design for it to be a success. Before planning website development, be clear about these points. What do you want to achieve with the new website? Are you trying to sell a product, provide information to your clients or deliver news? The purpose of your site will determine its entire web development strategy- design and structure. Who will you be promoting your website to? Do you have an existing contact base or are you planning to create one through your marketing efforts? Your web development needs to align to the taste of your audience. Always ask yourself, ‘what information are my users after?’ and present it in a clear and simple way. If users can’t find what they want quickly they won’t hang around for long. If you’re selling products, focus on providing great product information, not your company history. Ensure users are clear about what they need to do next once they have read the content on a webpage. If your aim is to sell products, ensure the ‘Buy Now’ button is prominent. If you want to provide information, ensure users can “Share” and “Download” the information. To create your site our web developers use a tried and tested process based on our previous successes. We have the creation of your website design down to a fine art. To top it all, we are flexible and ensure that your web development successfully meets your business needs. Define the purpose of your website design and what goals you want to achieve. Do you want to increase sales or improve brand awareness? At Complete Cloud, our team of talented website developers can create a website that is tailored for your business. Achieve your goals successfully with our web development services! Finalise your message and create your content. It’s important to research your market and create content in a style that is an extension of your business. Search for your product or service in Google to get a sense of what your clients will see. Our website developers and content experts can assist you with creating engaging content for your website. Our web development is completely user oriented. We create great looking websites that are sleek and customer friendly. At Complete Cloud, we take out time to put ourselves in the shoes of your prospective users and create a knock-out user experience with your brand. We seek feedback often and continue until you are totally satisfied. We help you create a launch plan that will announce your new site to the world and provide you with training to ensure you get the most out of your website. If you need help, we have support available for you 24×7. Get in touch with our support team for any web development issues over phone, email or chat anytime. What good is your site if no one visits it? Online marketing is important to make you stand out and drive users to your site. If we’ve built your site, it is already setup to kick some marketing goals. All our websites are SEO ready, integrated with social media and equipped for your marketing success. You can update your website with our in built easy to use content editor. We can help you decide how you want to position your website in your market in comparison to your competitors. We’ll also take a look at the products your business should be focusing online activities towards. We can tailor an online marketing plan to meet your goals. Choose from traditional advertising such as flyers, print, radio or online marketing such as email marketing, PPC, SEO or Social Media. We monitor the effectiveness of your marketing activities using reporting and analytics. This will help us adjust your marketing activities based on what is generating results for you.